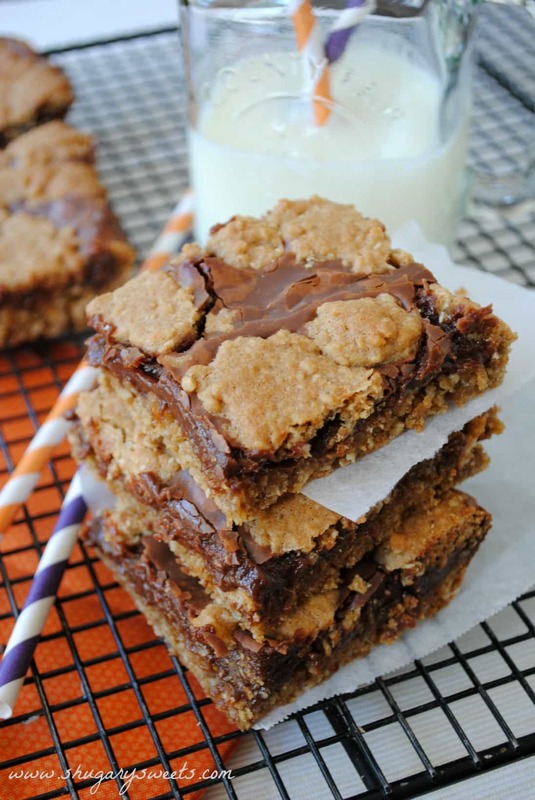 These are delicious no bake haystack cookies turned into bars! Oh, and of course I added some Reese’s Peanut Butter Cups for an extra PB boost! I thought about calling these Spider bars. But then I thought maybe that would turn some of you away. I know most people refer to these cookies as haystacks, but in my family we have ALWAYS called them spiders. And for whatever reason, they only were made at Christmas. Last week, when the weather was 95 degrees and the popsicles were gone and it was too hot to go shopping, I racked my brain for a no bake dessert. And since I was craving chocolate, my mind went to those delicious cookies from Christmas! Except, in my laziest moment, I wondered what would happen if I made them into bars. Because you know, no bake cookies already take 15 minutes to make, I wanted to cut out even more time! The result was awesome. Clearly. And just a word of advice, eat these cold. The butterscotch really comes through when chilled (plus they stay a lot less messy). Hmmmm, maybe that’s why we always had them in the winter? Anyways, the Reese’s on top are totally optional. While scouring my pantry for a jar of peanuts, a bag of mini Reese’s cups just jumped out me. It was a sign. A delicious, wonderful sign! These are delicious no bake haystack cookies turned into bars! Oh, and of course I added some Reese's Peanut Butter Cups for an extra PB boost! In a large microwave safe bowl, melt semi sweet morsels with butterscoth and peanut butter for one minute. Stir and microwave an additional 30 seconds. Stir again until smooth, or heat an additional 30 seconds. Add peanuts and chow mein noodles to melted mixture. Pour mixture into a 9inch parchment paper lined baking dish. Press peanut butter cups on top and refrigerate for 2 hours. Cut and enjoy! Best served cold. Store in an airtight container for up to two weeks in the refrigerator. Chocolate and Butterscotch together are amazing. 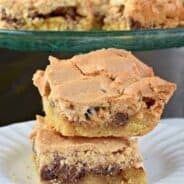 These Triple Chip Revel Bars have that sweet butterscotch flavor in the filling! I’m a sucker for Butterscotch. 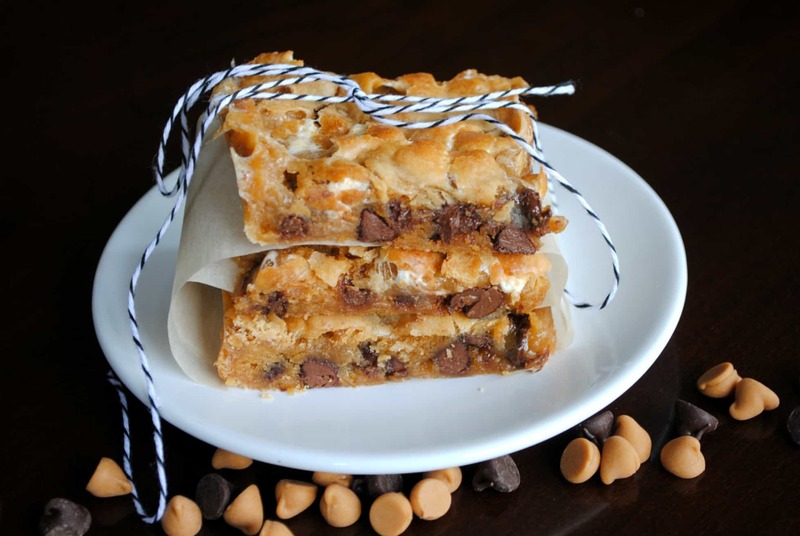 Chewy Butterscotch Marshmallow Bars are just plain awesome. It’s a winning combination! 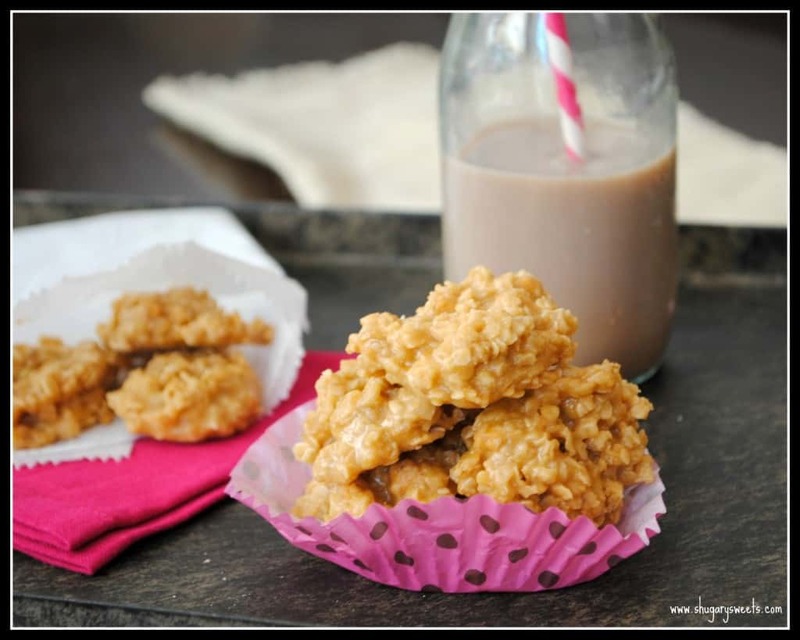 Love Oatmeal Scotchie Cookies? These NO BAKE cookies are incredibly delicious! Check out some more links from my friends…. Oh man I haven’t heard of haystacks or spiders would I love to try them. Peanut butter cups on top included. Yum! We always make these too, but I use corn flakes instead of chow mein noodles. And too funny that you were trying to cut time out of a no bake cookie…totally something I would do too 🙂 These better be coming with you today to my house…right?!?! My mother in law always, always makes haystacks around the holidays too. I should ask her to switch it up this year and try these bars instead! I bet these DISAPPEAR at parties. Next time I want to feel extra loved, this is what I’ll be bringing! YES! These went fast! ENJOY. I grew up eating haystacks, and my mom only made them at Christmas too. You know, I love them and never make them because they look so funky. Spiders…yeah…I get it. 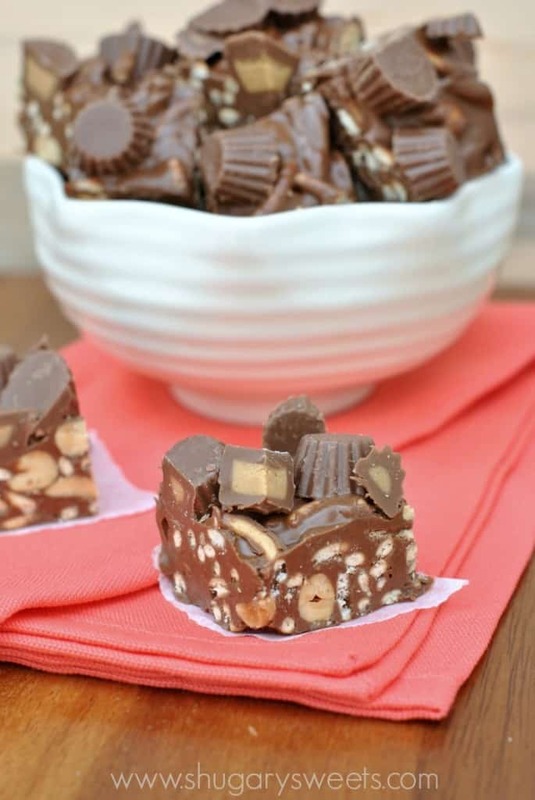 I love that you made them ino bars – they look so much more appetizing! Thanks Marcie! They really do make an ugly cookie (but pretty bar)!!! Love!!! So easy so yummy So PERFECT! I am so in love with these! So easy and so so chocolatey! 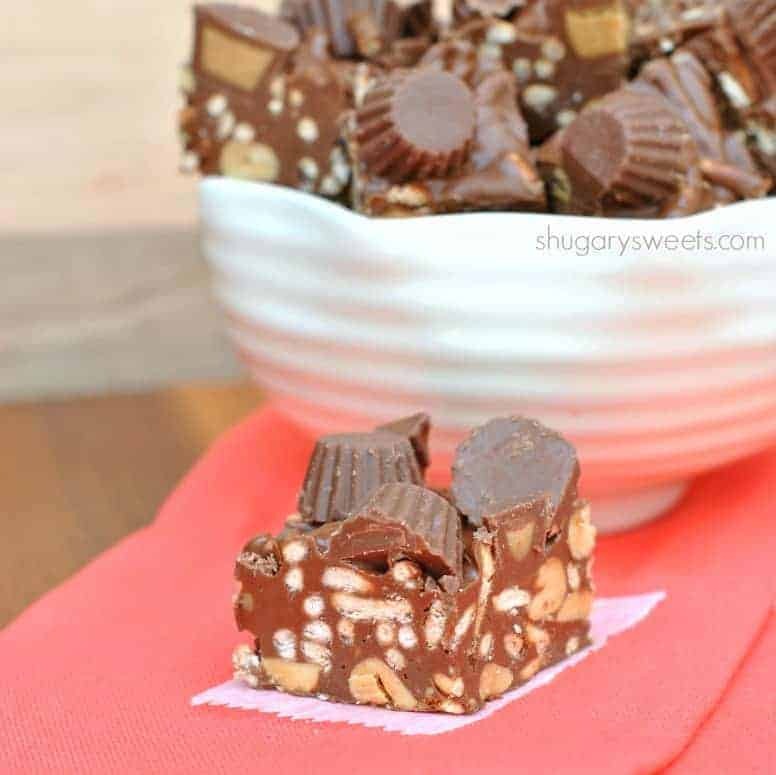 What a wonderful no bake treat! And that’s a great idea to use Chow Mein noodles. Thanks Abbie, I love the crunch from the chow mein noodles!!! I am loving these — so very creative! Love the look of these Aimee, I’m a massive fan of anything no bake at the moment as it’s so hot in the UK! I’m in Chicago visiting family this weekend, and actually had to wear a hoodie, it was chilly today!!! You are speaking my language with those gorgeous PB cups mixed in there! 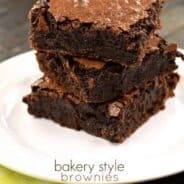 I’m loving all your no-bake desserts for these hot summer months. I keep turning on my oven like a sucker…I need to follow your example! 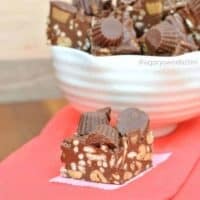 I LOVE no bake desserts! This look fabulous! So yummy looking…..how about pretzels instead of the noodles for a sweet/salty taste. Pretzels would be perfect too!! Great idea! Thanks! 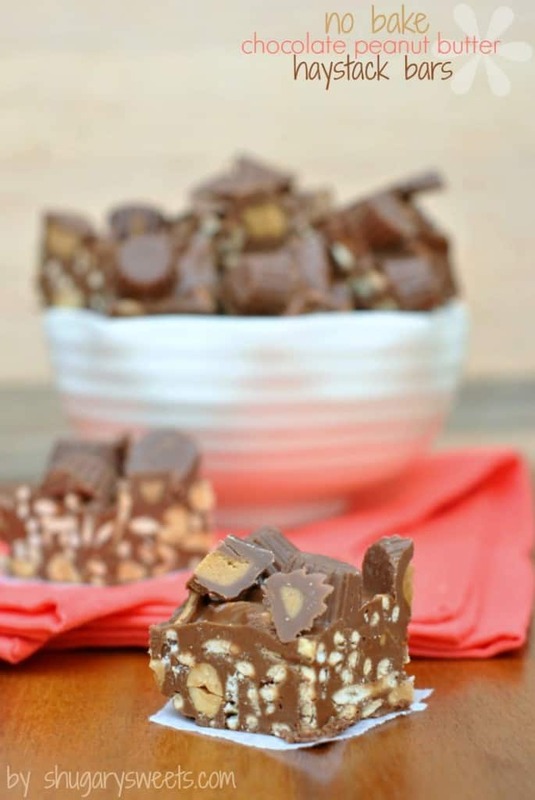 No bake recipes rock! Pingback: 27 Delectable No Bake Desserts - DIY - All in One!